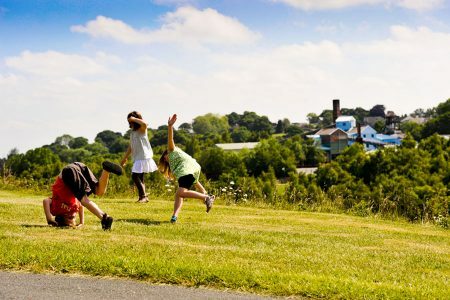 Experience fun-filled family days out in Yorkshire – all for free! Explore glittering treasures and gilded armour from the past, admire beautiful artworks in a gallery and walk around the glorious settings of a sculpture park. Speak to real-life miners on a tour down a pit and witness a whole world beneath the surface. Royal Armouries Museum -See gem-encrusted, warrior treasures discovered from the new collection from the warrior treasure Saxon Hoard that dates back from over 1,300 years ago. Please note-additional activities may incur a small charge, such as the Falconry displays and Warrior Wednesdays where visitors can take part in special object handling sessions and watch live combat demonstrations. The Hepworth Wakefield – Visit Market Day on 20th August, a family-friendly event inspired by the Hepworth Gallery summer exhibition, Stanley Spencer: Of Angels & Dirt . Market Day features over 20 handpicked stalls of artisan goods and street food, plus garden games and live music. Please note- there is a charge for car parking. Yorkshire Sculpture Park– Explore art in the sculpture park and be inspired to make your own creations in an interactive art workshops, for free! From story-telling to creative play and heritage art trails, this is the place to tap into your creative streak. National Coal Mining Museum– Go on a unique underground adventure and travel 140 metres underground down one of Britain’s oldest working mines, led by a real miner. Visit the museum exhibition, Heroes and Heroines, and have a real insight into the working lives of miners throughout history.